1) On Monday, March 25, starting at 6pm. enjoy an evening hosted by Clay Fritz, owner of California’s Fritz Underground Winery, at Abe & Louie’s Boston with a four course dinner paired with wine. The Fritz Winery Reception will begin at 6pm, with the first course served at 6:30pm. Cost is $125 per person. 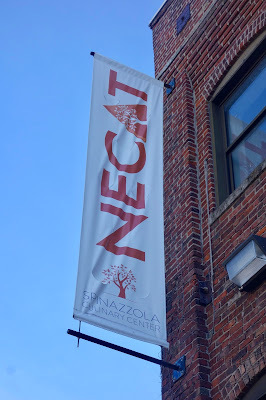 Reservations can be made by calling the restaurant at (617) 536-6300. 2) Legal Harborside celebrates crustaceans with crab specials from March 8-10 to benefit the Greater Boston Food Bank. Legal Harborside will be celebrating crustaceans while giving back by dishing out a trio of specials showcasing fresh lump crab meat in which proceeds will benefit the Greater Boston Food Bank, an organization that works to address food insecurity by providing healthy and nutritious food items to those who need it most. 3) On Tuesday, March 12th, from 7pm-10pm, The Library at Explorateur Café will host an exclusive Glendalough Distillery Whiskey Dinner where guests will enjoy and learn about creative whiskey pairings from the award-winning craft distillery in Ireland. Explorateur’s Executive Chef Yousef Ghalaini and Glendalough Brand Manager Donal O’Gallachoir will team up for an exquisite four-course menu paired with craft whiskey and cocktails from Ireland’s first craft distillery. Glendalough focuses on perfecting the ageing and finishing of their whiskeys in order to best accentuate the diverse and creative flavors, allowing each of the pairings to be unique and flavorful. With flavors from rich to nutty to fruity and floral, Glendalough whiskeys can be enjoyed with foods like Grilled Colorado Lamb and even a special dessert of Dark Gingerbread prepared by the Explorateur pastry team. Guests will begin their night with a special cocktail hour followed by a guided four-course meal with craft whiskey pairings. Tickets are available for purchase on Eventbrite for $75/per person. Tickets include a cocktail hour and a four-course menu with craft whiskey and cocktail pairings. Reservations are required and seating is limited. Guests must be 21+ to attend. In 1929, Alan Robb Hickinbotham was appointed the Deputy Principal of the Roseworthy Agricultural College, the first agricultural college in Australia, founded in 1883. Seven years later, Alan was partially responsible for establishing a Oenology curriculum at the college which quickly became well respected and eventually responsible for creating numerous important leaders in the wine industry. In 1971, descendants of Alan purchased land, and started growing grapes, mainly Shiraz and Cabernet Sauvignon, in what would become known as the esteemed Clarendon Vineyard. Their grapes became quite well known and valued, some of the parcels sold to a few of the top wineries in Australia. They also produced some of their own wine, under various labels such as Hickenbotham Wines. Though they sold their Clarendon Vineyard in 2012, they still own other vineyards and are involved in multiple projects. For example, in 2004, David & Dena Hickinbotham and their son, Alan, decided to establish the 3 Rings brand, under III Rings Pty Ltd, choosing to work with famed winemaker Chris Ringland. The intent of this brand was to highlight Shiraz from the Barossa Valley, though they also make a Cabernet Sauvignon. The vineyards for their 3 Rings Shiraz are an average age of 35 years, with soils that are primarily clay over slate bedrock. The grapes for their Reserve Shiraz are from a single vineyard, in the Kalimna sub-region of the Barossa, and the vines are an average of 85 years old, with soil that is mainly sandy loam over black clay. I received a media sample of the 2015 3 Rings Shiraz ($19.99), which is made of 100% Shiraz, has an ABV of 14.9%, and only 6000 cases were made. I'm unsure of the oak treatment for this wine though clearly it was aged in oak for some amount of time. With a dark purple color, it possessed a nose of black fruits enhanced by spice notes. 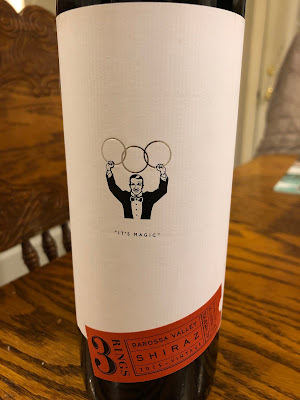 On the palate, it was a full bodied and muscular wine, with deep and complex flavors of plum, black pepper and raspberry, with a vein of pepper and other bold spices. However, it wasn't a jammy fruit bomb, and the alcohol was well balanced. The finish was fairly lengthy, the tannins bold but not overwhelming, and it has a spicy kick. The wine definitely would be best accompanied with a steak or similarly hearty dish. This is a wine of power, but it isn't overpowering. The complex taste will please and with a juicy steak, the wine shines even greater. At $20, this Shiraz delivers a very good wine, worth the price. I definitely want to try their Reserve Shiraz, to experience that representation of Shiraz. What do you believe is more important, the cupcake or the frosting? Is a cupcake merely the vehicle to transport a mound of frosting? Or should they be a harmonious and well balanced combination, with neither dominating? This issue has been on my mind lately and over the weekend, it became even more prominent to me. 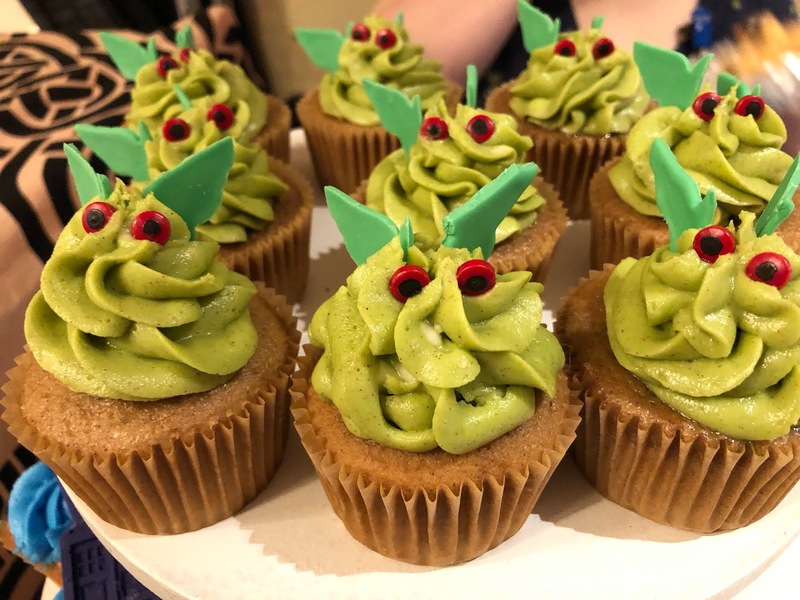 I tasted a number of cupcakes from Quigley's Cakes, a New York company that creates specialized cakes, cupcakes, and more. 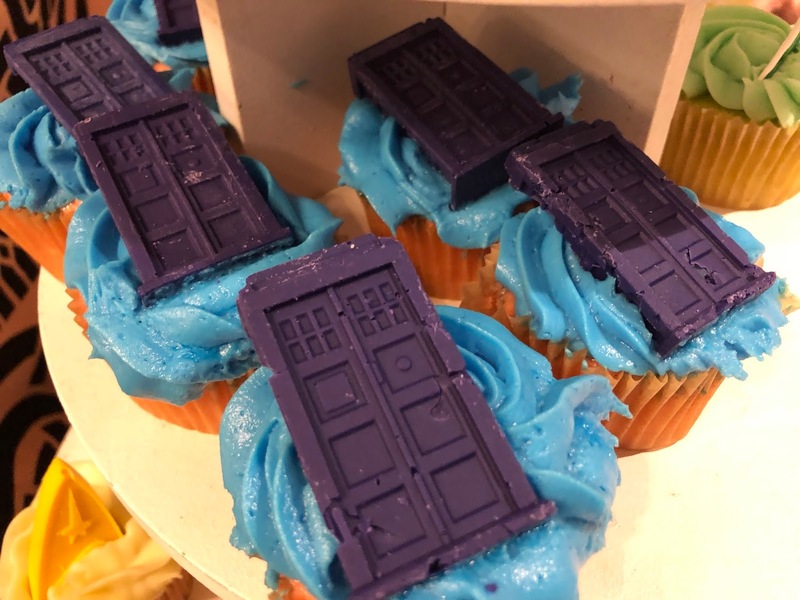 They were selling some of their cupcakes at a gaming convention, so the cupcakes all had a fantasy or science-fiction theme. 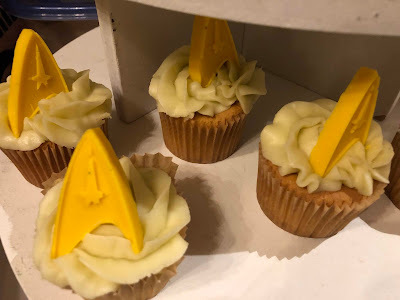 The cupcakes were inventive and delicious, and I felt that they struck a fine balance between cupcake and frosting, just the way I prefer. The origin of cupcakes seems to begin in the late 18th century though it wouldn't become common to frost them until the 1950s. Cakes had been covered with icing or frosting since the 16th century, but it too much longer for cupcakes to become commonly frosted, though there were likely exceptions. I also suspect that since the 1950s, and especially in recent years, the amount of frosting on cupcakes has grown and grown. Sometimes the height of the frosting is now the same height, if not even higher, than the cupcake itself. When the frosting is that high, it makes it extremely difficult to eat the cupcake, if you'd like a bite of both frosting and cupcake at the same time. Instead, you have to eat a few mouthfuls of just frosting before you can enjoy the cupcake too. It is as if you are giving the starring role to the sweet frosting, when it is the cupcake which should be the star. 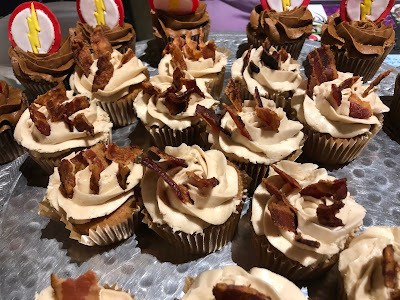 Frosting should have a supporting role, almost like clothing for the cupcake, but the clothing shouldn't be so bulky as to hide the body of the cupcake. If the frosting is so important to you, why even have a cupcake too? Just have a bowl of frosting instead. Many chefs will tell you that food dishes should be balanced, that you want to create a harmony with all of the ingredients. Why shouldn't cupcakes also be better if balanced? Stop making towers of frosting upon small cupcakes and return to when the frosting playing more of a supporting role. Think of balance! 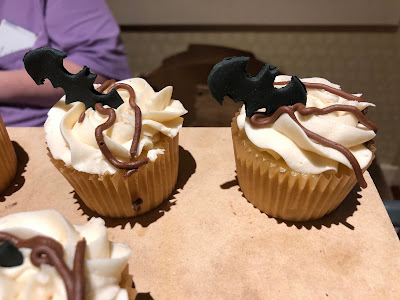 The cupcakes from Quigley's Cakes met that balance, and they were a joy to eat. Besides that balance, the cupcakes were moist and flavorful, the frosting creamy and tasty. Though Quigley's is located in New York, they will deliver to Massachusetts, so if you'd like to order some unique and delicious creations, check out their website. 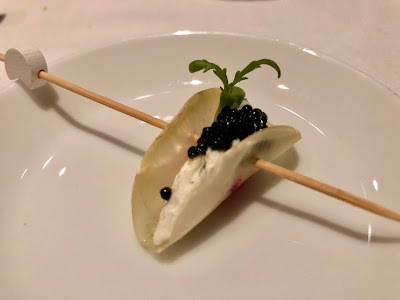 The Shellfish and Caviar tasting menu is $125 per person, with the optional wine pairing for an additional $75 per person. To make Reservations, please call 617-426-7878. 2) Celebrate National Margarita Day on Friday, February 22, from 6pm-9pm, at Rebel’s Guild with tequila pairings from Código 1530. Chef Sean Dutson has created a special menu featuring a variety of dishes that pull inspiration from Mexican cuisine, while still reflecting the American comfort dishes that Rebel’s Guild is known for. Guests will enjoy four courses with pairings that explore Código 1530’s entire portfolio of tequilas. "Every drop of Código 1530’s tequila has been perfected over several generations the way one would a homemade recipe – embracing time-honored customs without ever veering from the traditions of the Los Bajos region and its tequilieras and jimadors. The Tequila begins with fully-matured agave aged over seven years, which is cooked in stainless steel ovens, fermented utilizing an organic family baker’s yeast in Amatitán, and distilled twice in stills handmade by the distilling family themselves. The Blanco is perfected over a lengthy, 15-day process. The rested Tequilas are meticulously aged to taste in French White Oak red wine barrels procured from the Napa Valley, which helps ensure that each and every barrel is worthy of bearing the Código 1530 name." All attendees must be 21+ with a valid ID. 3) On Saturday, March 2 from 1-3 p.m., Chef Tony Maws invites guests to The Kirkland Tap & Trotter to see (and taste) who can stake claim to the title of Boston’s Best French Fries! The Fry-Off is the third annual year for this charitable culinary competition, hosted by No Kid Hungry, and leading up to the local Taste of the Nation this summer. All proceeds from the “Ultimate Fry-Off” will be donated to the non-profit to help end childhood hunger in America. Some of Boston’s culinary masters will throw-down the fry gauntlet, serving their best versions of French fries and dipping sauces for a cheering crowd. Attendees have the opportunity to sample all of the fries and crown a “People’s Choice” favorite, and a panel of esteemed judges will select the overall winner. Tickets are $25/person (kids under 12 are free) and include tastings of each chefs’ fries and accompaniments and two complimentary drinks. Sandy Block, a Master of Wine, is the Vice President of Beverage Operations of Legal Sea Foods, overseeing the wine program for all of their restaurants. Sandy is an iconic, knowledgeable and well-respected figure in the local wine scene. I've met him numerous times at various wine events, and those he has hosted at Legal Sea Foods are usually fascinating and educational experiences. The wine lists he has created have often offered some of the best values of any local restaurant. Sandy, an Honors graduate of Vassar College, earned a Master’s Degree in American Intellectual and Cultural History from the State University of New York. He previously worked as Assistant VP of Wine for Horizon Beverage Company, and as General Manager of Whitehall Imports and VP of Product Strategies for the Whitehall Companies. In 2004, Sandy became the VP of Beverage Operations of Legal Sea Foods. He was also the first American on the East Coast to be certified as Master of Wine, and is one of only 353 individuals worldwide to earn this title. He holds membership in the Chaîne des Rôtisseurs and the Confraria do Vinho do Porto, and received the Diplôme d'Honneur from the Corporation des Vignerons de Champagne. Sandy’s extensive credits include serving as Wine Editor for The Improper Bostonian. 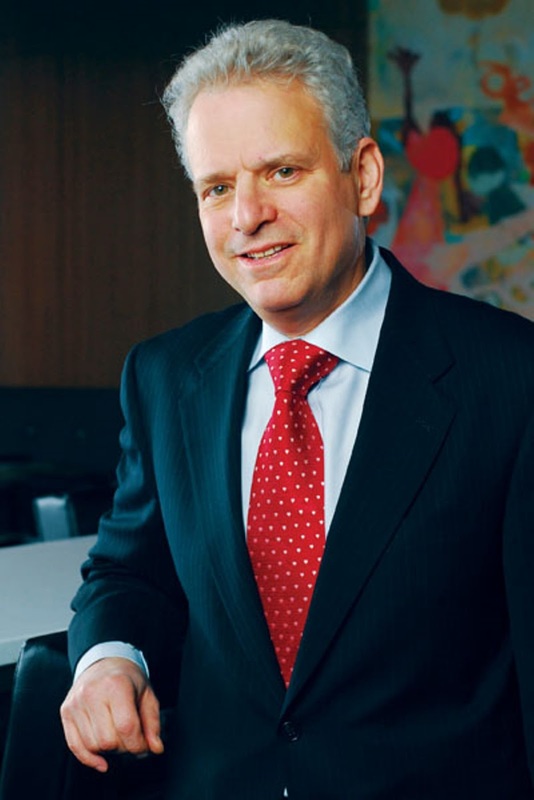 He serves on the Editorial Advisory Board of Cheers Magazine, the Executive Symposium Committee of Sante Magazine and the Executive Board of Boston University’s Elizabeth Bishop Wine Resource Center (where he has taught advanced courses since 1999). He developed the curriculum for the accredited Wine Studies program at Boston University and for several years taught a wine tasting course at the Cambridge School of Culinary Arts. Please note that Sandy's interview primarily deals with the intriguing wine program at the 2nd floor dining room of Legal Harborside. We call it the Legal Harborside Collection; it’s a book of rare wines (none are available at any other restaurant in Boston in the vintage we are offering) selected specifically to balance the restaurant’s culinary offerings. My guiding principle is that in wine, everything begins with “terroir,” that mysterious alchemy reflecting harmonies of soil, climate, grape variety and the grape grower's art. Just as Chefs can only create magic with the freshest of hand-selected ingredients, wines of authenticity and character are only possible when expressing unique regional or vineyard origins. In homage to this vision, the Collection focuses on wine whose personality originates from an individual place; wine, for the most part, whose identity reflects a single family’s connection to the particular parcel of earth that it tends. Each has its own story, illustrated briefly on the menu with notes and images that evoke the place and its singular personality, as well as the family behind the vineyard. The great majority of wines are offered in both a 750 ml. (bottle) and a 375 ml. (half-bottle) size, which our service team will pour into a carafe at table, in order to encourage maximum exploration. There are 85 selections. To intrigue guests with unusual bottles they’ve never before experienced that will create harmonies with the food they order. To entice them to return. Because these are all limited production small (in some case microscopic!) lots, I change the list whenever a wine runs out of inventory at our distributors’ warehouses. Through direct relationships with our small group of wholesale distributors and their suppliers. We strive to keep the prices accessible and reasonable. Offering any of the wines on the list that are below $75 by the half carafe, and by the glass, enables us to encourage maximum experimentation without having to commit to a full bottle. Not enough wines in a particular category (Italy, for example). To maintain a healthy balance among comfort zone wines, adventurous selections, covering different styles and price points. Tell me about 1 or 2 of the best value wines on your list? Trimbach “Cuvee M” Riesling, 2013 from the Alsatian Grand Cru of Mandelberg, just an intensely stony, mineral-accented wine with brilliant length ($49, $26 half carafe, $13.50 by the glass), and for a red, the Neyers "Evangelho Vineyard" Carignan, from Contra Costa, 2014 (same price as the Trimbach), a foot-trodden, earthy, monumentally spicy red, of which there are only 100 cases produced in the world. The 1997 Schloss Schonborn Hochheimer Domdechaney Riesling Spätlese, from the Rheingau, because it’s rare to have such a delicious 20+ year old white wine available, and the Alto Moncayo “Aquilon,” Garnacha, Campo de Borja, 2011, possibly the most delicious rendition of this amazingly underappreciated grape I’ve ever tasted. I have to go with two that I’ve selected from barrel. The Sonoma-Cutrer “Les Pierres Vineyard” Single Barrel Private Select, 2016 is a wine that I picked out at a blind tasting while it was still undergoing maturation in spring 2017, that comes from the vineyard’s B North and B Middle North Blocks, and is a beautiful expression of earthy, citric minerality reflecting its stony terroir to perfection (and thrilling with lobster!). The 2015 Pellegrini Family "40 Year Commemorative Cuvée" Pinot Noir, from its Olivet Lane Vineyard in Russian River Valley is a “once and forever” wine of which just 5 cases were crafted for the Sonoma County Wine Auction in 2016 and captures the essence of Russian River; juicy and rich, with silky tannins, featuring notes of bing cherry, spice, toast, and mocha. Just how gratifying it is to see other wine professionals dining in the restaurant. Do restaurants that primarily specialize in Breakfast get short shrift from restaurant reviewers? If you look back at the recent archives of some of your favorite restaurant reviewers, you'll probably find that they rarely, if ever, review restaurants that specialize in breakfast. And if they do, the articles are usually compilation pieces, discussing a group of such restaurants, maybe by locale. You might see a list of the top breakfast spots on Cape Cod or the best donut shops on the North Shore. Why is this the case? Why don't breakfast restaurants receive more attention? This matter came to my attention recently as I prepared to write a couple breakfast reviews of my own. I started pondering why I rarely see such reviews. There must be a reason for these omissions. I don't have any definitive answer but can speculate as to the potential reasons. First, the number of breakfast spots is certainly much fewer than other types of restaurants so it is only natural that more attention is given to other restaurants. When you look at the lists of upcoming restaurants, there are very few breakfast spots in those lists. Second, people generally look more for advice concerning dinner restaurants than breakfast spots, especially considering how much money they might spend on a dinner as opposed to an inexpensive breakfast. It is much easier to take a risk on an unknown breakfast spot that might only cost you $20 as opposed to a dinner place where you could drop $100 or more. Third, many breakfast spots offer the usual standard fare, with little to make them stand out from other such places. So, they don't seem as compelling to review as they don't offer something new, different or more unique. There may be additional reasons as well, but none of them mean that breakfast restaurants shouldn't be reviewed. There are reasons why many won't ever get reviewed, but there are places that stand out, worthy of some attention. Breakfast can be such a delicious meal, pure comfort, and sometimes with a little sweetness added. And I know that I, and others, enjoy breakfast foods all day long. I can enjoy waffles for dinner, or simple bacon & eggs. An excellent breakfast spot, serving breakfast all day, is special. In recent years, Boston has seen the opening of a number of excellent seafood restaurants, and as you know, I've long encouraged people to eat more seafood. Seafood provides immense health benefits and it is also diverse and delicious, able to be prepared in a myriad of ways. 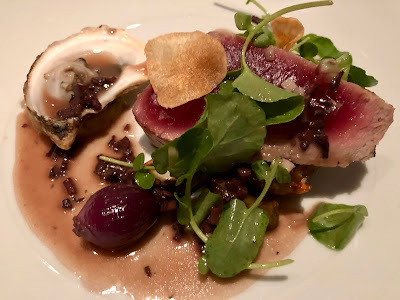 On my recent weekend stay at the Boston Park Plaza, I dined at one of Boston's newer seafood restaurants, Mooncusser Fish House, thoroughly enjoying a tasting menu of fresh and compelling seafood. Back in July 2017, Mooncusser Fish House opened, a joint endeavor led by Ian Calhoun, Vincent Vela, and Chef Carolyn Johnson, all who also own and operate 80 Thoreau in Concord. This seafood restaurant is actually divided into two parts, the Moon Bar located on the first floor and the Mooncusser Fish House on the second floor. The Moon Bar is the more casual dining area while the upstairs is more higher-end. During the week, at lunch time, they also open Cusser's Roast Beef & Seafood in the Moon Bar, and I recently wrote about my lunch experience there. For dinner, we chose to eat upstairs in their more formal, though it isn't pretentious, Mooncusser Fish House. Note that it is several levels up so be prepared to climb some stairs, though they do have an elevator if you can't take the stairs. It is a small, more intimate dining room, perfect for date night or a business dinner. 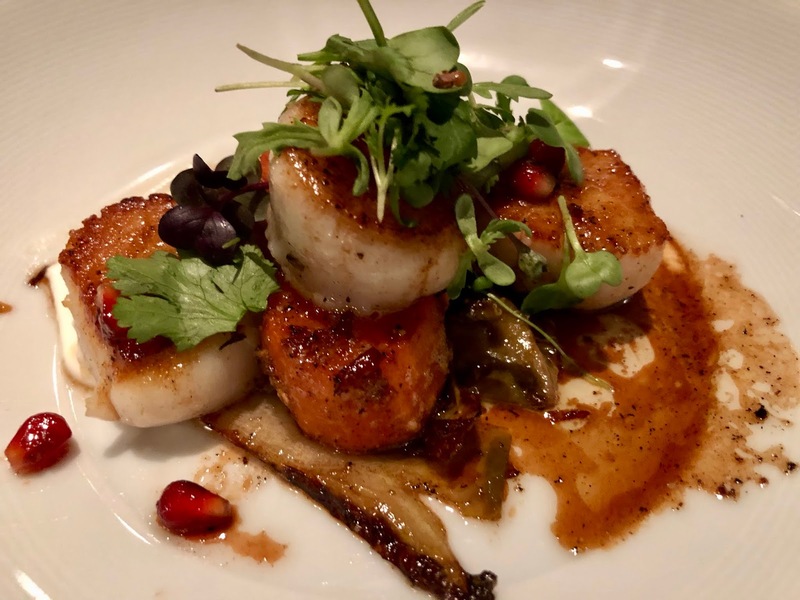 You can opt for a Prix Fixe Menu (3 courses/$49), a Tasting of Local Fishes (5 Courses/$85) or select your own dishes off the menu, which is divided into First Courses and Main Courses. There are 7 options for First Courses, priced $10-$17, and you can choose items such as the Tuna Tartare, Mooncusser Chowder, or Smoked Char Terrine. There are 6 choices for Main Courses, priced $30-$42, and you can choose items such as the Monkfish, Bone-In Skate Wing or Grilled Whole Fish. This is a definitely a seafood-centric restaurant and the only non-seafood options are the Baby Chicory Salad (First Course) and the Grilled Lamb Rack (Main). I'm sure those dishes are delicious but seafood is king here. I'll also note that the price range of their dishes has remained relatively the same since they first opened. We decided on ordering the Tasting of Local Fishes ($85) with Wine Pairings ($75), wanting to sample a variety of their available dishes. As this was more a dinner for pleasure, I didn't take many notes, simply reveling in the experience. Overall, it was a superb dinner, with plenty of excellent dishes and wine pairings. Mooncusser hits it out of the park with their seafood! The first course was a Halibut Crudo, with blood orange, mint, pickled ginger, and puffed wheat. 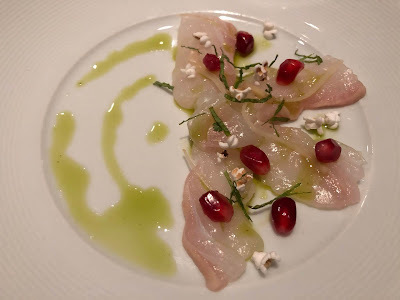 The silky halibut was fresh and clean, with a mild but flavorful taste, enhanced by the citrus. The puffed wheat was almost like little pieces of popcorn, adding a crunchy texture to the dish. The wine pairing was the 2017 Gilbert Picq Chablis, an absolutely delicious Chardonnay with complex notes of white flowers, citrus, and mineralogy with a hint of briny salt. It went great with the crudo and I would love to try this wine with oysters too. 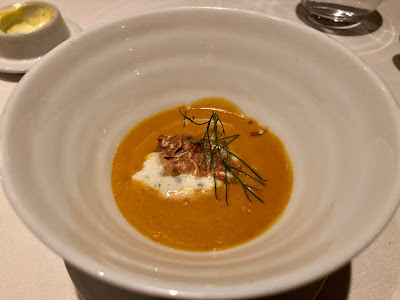 The second course was Lobster Bisque, made with wild mushrooms, pumpkin, and white truffle. Creamy and bursting with lobster flavor, sweet pumpkin notes, and earthy notes from the mushrooms and truffle. An excellent blend of flavors and perfect for a chilly winter evening. The wine paring was the 2014 Reynvaan Queen's Road Marsanne-Viognier, from Walla Walla, Washington. This wine brought intriguing notes of peach, melon and pineapple, with an underlying minerality and plenty of acidity, able to cut through the richness of the bisque. Another great choice. 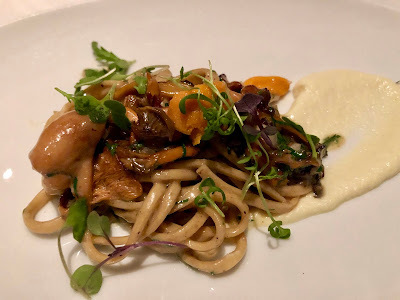 The restaurant presented us with an extra, complimentary course, their Rye Chitarra, made with uni, celeriac, and mushrooms. I loved this dish! Perfectly cooked pasta, briny uni, and umami-rich mushrooms, all combined for a fantastic taste. Such a nice blend of flavors of the soil and sea. Highly recommended! The next course was Scallops, with sweet potato, pomegranate, and pistachio. Initially, I was confused about the "orange" scallops in the dish before realizing they were actually sweet potatoes that were shaped like scallops and seared in a similar manner as well. And they were so tasty, a nice sweetness with a great sear. This is something I'd love to replicate at home. The sweet scallops were also seared perfectly, bringing fresh, clean flavors enhanced by the nuttiness of the pistachio. Another winner of a dish and highly recommended. 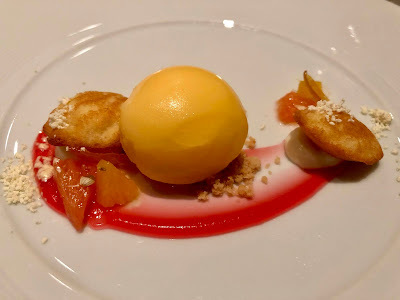 The wine pairing was the 2017 Le Roc Des Anges Llum Grenache Gris, a complex and compelling wine, with rich citrus notes, intense minerality, and great acidity. A wine of elegance and restrained power, one to please most wine lovers. The final savory course was Grilled Tuna, with sunchokes, an oyster, and pearl onions. The lightly seared, and mostly rare tuna, was silky and tender, meaty and satisfying. It was exactly what you desire in a grilled tuna dish. And the briny oyster was a pleasing extra. The wine pairing was the 2012 Sanguis Verve Grenache, from the Central Coast, California, and it was a killer wine. Great fruit flavors, a pleasing spicy backbone, plenty of complexity, and a lengthy finish. Such an excellent wine pairing! Dessert was Petites Madelines with tangerine sorbet, olive oil, citrus, and coriander. A light and refreshing dessert which didn't overwhelm you with sweetness. The tiny madelines were light and delicious, and I wanted more. Their Pastry Chef Katherine Hamilburg is extremely talented. The final wine pairing was the 2015 Haut Charmes Sauternes, a nicely balanced dessert wine with intriguing and complex flavors. Service was excellent, attentive without being obtrusive. And all of the food was excellent, well balanced dishes with great, fresh flavors. I was satisfied at the end of the meal, without feeling overly stuffed. The wine pairings worked so well, and I got to experience some fascinating and tasty wines which aren't the usual suspects. If you desire a quality seafood dinner, I highly recommend Mooncusser Fish House and suggest you order the Tasting of Local Fishes. Christopher Williams is the Beverage Manager and Sommelier at Harvest, located in Harvard Square. Harvest is an iconic restaurant, having been in existence for over forty years, which is a huge accomplishment. I recently dined there, attending a The Book & The Cook event which involved Hacking Whiskey. It was a fun and tasty event, with plenty of inventive cuisine. Christopher Williams has always shown a passion for the hospitality industry, starting as a server at age 18. 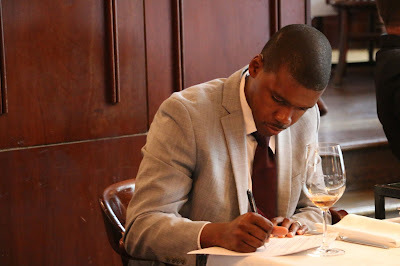 He graduated from Clark Atlanta University in 2009 with a degree in Psychology and began his interest in wine education in 2013 when he served as a waiter & wine steward at Bone's Steakhouse in Atlanta, Georgia. Christopher became a Certified Sommelier by the Court of Master Sommeliers in 2016. After serving as a sommelier at The St. Regis Atlanta, Christopher moved his talents to Boston and started as the restaurant manager and sommelier at Grill 23 & Bar, and for the past year, he has been making his mark at Harvest. Sommelier, I prefer that title because it defines who I am and what I do for my profession. I specialize in providing the finest beverage service and engaging with our guests about different wines from different regions of the world, along with pairing wines from my list with the food our chefs prepare daily. The wine list at Harvest covers the classic representation of wines from regions all over the world. I believe that the wine list a sommelier builds should never be about themselves or what is “trending” for the moment. Our job should be to have a wine list that is fun and engaging, but also true to the character of the wines grown in a particular region. I want to continue to be an excellent wine steward like my predecessors before me and add more wines to the list that will grab the interests of all the guests that visit Harvest. They say there is a wine for everyone and my goal is to have a list that is approachable for the guest looking for something of “value,” but also consists of wines that a true wine connoisseur will look through and notice some rare wines from smaller producers that may not be well known to the masses. The wine list changes fairly often, sometimes 3-4 times a month due to our futures program and changes in vintages. I try to keep a nice rotation of wines so when one is out, I have plenty of options on reserve to choose from and replace with. It’s great because a guest that dines with us one evening may return a month later and notice newer selections on the wine list. I would like to add more Riesling options for both the Alsace and German sections of my wine list. I’m in love with Riesling and unfortunately, I feel people are hesitant in trying it because they believe all Rieslings are sweet. There are dry, off dry, sweet and sparkling representations of this grape. Riesling is so versatile you can match almost anything to it! I learn about new wines from my fellow sommeliers, vendors and even guests that come in to the restaurant. They are always excited to tell me about their recent trip to a country and the wines they had a chance to try. In this profession, you are constantly learning something new every day about wines from all over the world. Pricing structure for Harvest’s wine list is marked in a way that is fair to our guests, I try to provide as much value as possible for each section of the list.. The most common wine question asked by my guests is what area on my wine list can they find “value.” I tend to lead them straight to Argentina or South Africa because they can provide excellent wines that are priced very fairly on a wine list.. The most common criticism I receive from guests about Harvest’s list is that they would like to see more wines with significant bottle age to them. It can be quite the task trying to find wines from the 90’s or early 2000’s that would not cost a pretty penny on the wine list.. I think my greatest challenge as a sommelier is fighting against the negative image some people have towards someone in my position. Back in the day sommeliers were thought of as arrogant and snooty towards those who would not spend a lot of money for a bottle of wine. Even now I hear stories from people about their recent visit to a restaurant where the sommelier was trying to sell them a bottle of something they thought was cool or better than what they had originally asked for assistance with. Very few sommeliers act like this and they can make it harder for the rest of us to build trust with our guests who may be hesitant in asking for help. A sommelier above all should always show humility and remain humble. It is always about the guests and their experience, we should never try to force our beliefs or opinions on to someone unless they genuinely wish to know what we like to drink. A good sommelier always wants to help you find a bottle of wine that you truly will enjoy at a price point that you feel comfortable spending..
One of the best valued wines I have on the list at Harvest is the 2016 Stag’s Leap Hands of Time from Napa Valley for $66. It is a popular wine on my list made by an iconic estate that at one point in history beat Mouton-Rothschild and Haut-Brion in the 1976 Judgement of Paris blind tasting. One of the most unique wines on the list is the Chateau Musar from Lebanon. When you think of a Cabernet blend most people would not think of Lebanon, most likely they would go straight to California or Washington state. It is full-bodied, savory and yet has an elegance to it that is quite wonderful. My favorite wine at Harvest is the 2015 Radio Coteau Savoy Vineyard Chardonnay from California. They make cool climate, single vineyard wines that are out of this world, very terroir driven..
Harvest’s wine list is constantly evolving, and I believe in feedback from my guests no matter how small the detail may be. I want our guests to truly enjoy themselves at Harvest and know that I am always happy to talk to them about various beverages. I want people to know that they can come “across the river” as they say and enjoy a nice glass or bottle of wine in Cambridge at Harvest. 2015 Henry's Drive "H" Syrah: Australia Rocks Again! As I mentioned in yesterday's Rant, it's time to reconsider the wines of Australia and I'm back with another Australian wine review, exploring a compelling expression of Syrah. This isn't a fruit bomb and showcases more of the elegance in Syrah. Henry's Drive Vignerons is located in the wine region of Padthaway, in the southeast area of South Australia, a wine region that officially became an appellation in 1999. During the 19th century, horse drawn coaches provided transport to and from the farms and wineries in this region, and one of the coach drivers was Henry John Hill, whose route passed through land now owned by the Longbottom family, owners of the winery. Kim Longbottom and her late husband Mark chose to name their winery after this coach driver, a honor for his hard work and dedication, as well as a connection to their historic past. Kim Longbottom, who hails from the region of Marlborough in New Zealand, and her late husband, Mark, planted their first vines in 1992, releasing their first wines in 1998. Currently, the property includes about 300 acres, of varied plots, with an additional 30 acres in the McLaren Vale. They grow a variety of grapes including Shiraz, Cabernet Sauvignon, Merlot, Verdelho, Sauvignon Blanc and Chardonnay. The Padthaway region has a Mediterranean climate of warm dry summers with cool nights. 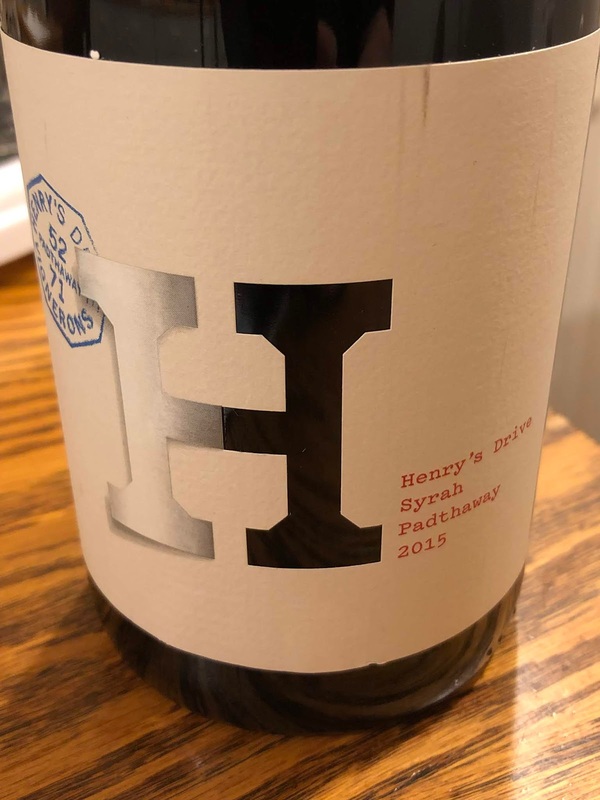 I received a media sample of their 2015 Henry's Drive "H" Syrah ($27.99), which is made from 100% Syrah, has a 14.1% ABV, and only about 750 cases were produced. Initially, the wine was fermented on the skins for ten days and then underwent malolactic fermentation. It was then aged for for 15 months in French oak puncheons and hogsheads, which are 25% new, 25% one-year old, 20% two-year old, and the rest three-year old. The 2015 vintage in Padthaway was said to be an excellent one, with dry conditions throughout much of the season. I found this wine to have a rich, red color and an appealing nose of blueberries and floral notes, with just a hint of spice. On the palate, there was an initial bust of bright fruit, cherry, raspberry and blueberries though it wasn't jammy in the least. As the taste progressed, there was an undertone of spice notes, especially on the finish. The tannins were well-integrated and the wine presented as silky and elegant, with a fairly lengthy and satisfying finish. Delicious and compelling, this is another wine that doesn't fit the old stereotype of Australian Shiraz. I paired this wine with a dinner of Australian lollipop lamb chops and it was a very fine pairing, each enhancing the other. This wine earns a hearty recommendation, and is another example of the diversity that can now be found in Australian wine. "Global demand for Australian wine has fallen substantially since exports peaked in 2007;..."
As I previously mentioned, I resolved this year to taste more Australian wines, to assess the diversity and quality that is now being produced in that country. I've recently tasted some excellent examples of Australian wines, such as the 2014 Shirvington Cabernet Sauvignon, which only had a 13% ABV. I certainly understand the reasons behind the decline in the popularity of Australian wines, but maybe it is now time to reconsider, to return to Australian wines and find new reasons to love their wines. The recent issue of Market Watch (January/February 2019) published an intriguing article about the current status of Australian wines, noting the problems Australian wine has faced. "..., Australian wine exports were down 11% to 17.7 million cases in the fiscal year ended June 2018,..." However, they also noted that there have been some positive changes in recent years. For example, "In the calendar year ended November 4, 2018, Australia posted gains at the luxury ($20-$25 a 750ml) and super-luxury ($25-and-above) tiers,...growing 16.1% to 7.8 million cases and 15.4% to 3.1 millions cases in the U.S.,..." In addition, "The number of Australian wineries present in the U.S. has also risen in recent years, pushing to nearly 300 in 2018 after sinking to 234 just two years prior." In 2017, close to 70% of Australian wine imports, about 11,714,000 cases, were encompassed by only ten wine brands. The top three Australian wine brands include Yellow Tail (7,350,000 cases but down 6.3% from 2016), Lindemans (1,332,000 cases but down 13.2% from 2016), and 19 Crimes (1,056,000 cases, which has about doubled since 2016). At the wine shop where I work, I see the huge popularity of Yellow Tail, and recently 19 Crimes has also been popular. It would be good if people could look past just these top ten brands and started exploring the greater diversity that Australia has to offer. The Market Watch article noted ".., there's a lingering stagnation for the category at the retail end." Consumer education is needed, to make them cognizant in the changes in the Australian wine industry. Australian Shiraz was once vastly popular though they often showcased "...high-abv expressions of the grape that burst with bold, ripe flavors," also known as "fruit bombs." There was a backlash against these Australian fruit bombs, and I'll admit they turned me off from wanting to drink Australian wines. However, changes have been made in Australia. For example, a number of wineries now highlight different expressions of Shiraz, presenting more diversity in the flavor profile of their wines. You can find plenty of Shiraz wines that are not fruit bombs. There has also been a move to highlight other regions of Australia, areas which have received little attention in previous years. These regions produce different wine styles, due to their different terroirs. In addition, wineries are using a wider array of grapes, from Chardonnay to Vermentino, Pinot Noir to Grenache. There are plenty of reasons to reconsider Australian wine and now is the time to explore their wines. Broaden your vinous horizons, exploring different regions of Australia, different grapes and different expressions of Shiraz. I'll be continuing my own explorations of their wines and encourage all of my readers to join me on this journey. 1) Join Harvest on Sunday, February 24, from 6pm-9pm, on their heated patio to dance, drink and eat at the 4th Annual Winter Ice Party. DJ Ryan Brown will play top hits while guests sip on frosty Harpoons and wintry ice luge drinks made with Maker’s Mark. Executive Chef Tyler Kinnett is serving up an array of fresh New England cuisine and party favorite bites including bacon wrapped scallops, arancini (goat cheese, parmesan, basil and marinara), Calypso Chicken (jerk spice, molasses, cilantro, scallions), Oysters (Island Creek Oysters & Mookie Blue Oysters), and homemade pretzels. Top off the evening with sweets from an exclusive dessert bar specially prepared by Food Network’s Holiday Baking Championship finalist and Executive Pastry Chef Joshua Livsey. Satisfy your sweet tooth with French macaroons, doughnuts, tiramisu, and flan. Harvest is joining forces again with Furnishing Hope of Massachusetts whose mission is to help families who are transitioning out of homelessness create a home for themselves. A portion of proceeds from ticket sales will go towards providing families with basic furniture and household goods necessary to create a comfortable and nurturing environment. Price is $55 per person. Space is limited and reservations are required. Visit https://www.eventbrite.com/e/4th-annual-harvest-ice-party-tickets-54382704132 to purchase tickets. 2) On Thursday, February 14, from 4pm-11pm, il Molo, in the North End, will be celebrating Valentine’s Day with three courses of romance inspired by the Mediterranean and New England coasts. A loving creation of the restaurant’s Executive Chef Pino Maffeo, the prix fixe menu was made with your sweetheart’s cravings in mind, featuring a variety of creative seafood, meat and pasta dishes. Appetizers include Local Oysters, Smoked Salmon Carpaccio, Lobster & Crab Cake, Shrimp & Lobster Tempura, Burrata Salad, Fried Calamari, Strawberry Salad and Classic Shrimp Cocktail which will lead the way for a heavenly Main- Course: choose from: Miso & Champagne Glazed Salmon served with roasted Brussels sprouts, Pan-Seared Cod Loin with chards, chorizo, clams and beans, Grilled Filet Mignon served with Sautéed Spinach, Baked Stuffed Maine Lobster (+$15), Stuffed Veal Chop with spinach, garlic, prosciutto and burrata, served with broccoli rabe and beans (+$15), New England Seafood Stew served over risotto, a Fresh Daily Pasta, Duck Milanese with roasted hazelnuts and orange. End your meal on a sweet note with a decadent homemade Dessert such as Coconut Cake, Carrot Cake, Chocolate Cake or Raspberry & Chocolate Tiramisu. COST: $70 per person, excluding gratuity & taxes. Reservations are required, so please call (857) 277-1895. Credit card will be required to hold any reservations. 3) Matadora, a Spanish restaurant located in the Hilton Boston/Woburn, has a new Executive Chef, Stephen Coe. “We are thrilled to welcome Stephen to the great team at Matadora. Along with his incredible culinary talent, he brings an energy and excitement that will appeal to our dinner and hotel guests as well as our local community,” remarked Mike Chouri, general manager, Hilton Boston/Woburn. Massachusetts native Stephen Coe is a graduate of both Johnson & Wales University (Culinary Arts) and the Institute Francais des Alpes in Annecy, France (French Food & Language). Following culinary school, Chef Coe took on a diverse array of roles that ranged from chef positions at Greater Boston’s BOKX 109 American Prime steakhouse to Topper’s at The Wauwinet (Nantucket), The Country Club (Brookline), The Martini House (Napa Valley) and most recently, as opening chef of Mirbeau Inn & Spa at The Pinehills. He is also a passionate food truck owner, operator and consultant. His food truck, SWAT Culinary Assault Vehicle, is fashioned from a SWAT truck he picked up at auction and serves indulgent eats with high-impact flavor. In addition to his food truck, Chef Coe has consulted for Food Truck Nation and helped concept other trucks including Lobsta Love and Grilled Cheese Nation. Competitive by nature and never one to shy away from a challenge, Chef Coe has cooked on more than 100 stages worldwide and emerged victorious from multiple Food Network shows, including Chopped’s “Ultimate Redemption Challenge” and “Grill Masters” as well as Tyler Florence’s Recipe Contest. His lengthy list of accolades also includes titles at World Food Championships, World Bacon Championship, American Culinary Foundation’s Boston Chef of the Year and more. From February 14-17, Chef Coe has created a new menu for celebrating Valentine's Day. You'll find choices including Corn & Crab Bisque, Pear & Marscapone Sacchetti, Alaskan King Crab Leg, Crispy Duck Naranja, Rack of Lamb, and a Rib-Eye Tasting. One of my goals this year is to taste more Australian wines, to give them reconsideration and see whether they have changed during recent years. As I mentioned before, I have drank very few Australian wines in the last few years, having been turned off by the large amount of jammy fruit bombs that country seemed to produce for a time. I didn't want a sledgehammer of wine to assault my palate, but I rather desired wines with more subtlety and complexity. And I'm starting to realize that those jammy fruit bombs may not seem to be the norm any longer. The Shirvington Winery, which is located in Willunga, just south of McLaren Vale, was founded in 1996 by Paul and Lynne Shirvington, with their sons Tony and Mark. Their first vineyard, about 16 hectares, was named Redwind, and they began by planting Shiraz and Cabernet Sauvignon, though it now includes Mataro (aka Mourvedre) too. The Redwind vineyard is at an elevation of about 50 meters, has red clay and limestone soil, and has a Mediterranean climate with maritime influences. They later purchased two additional vineyards, Kurrawyba (in McLaren Flat) and Manjalda (in McLaren Vale). All of their vineyards are sustainably farmed. I received a media sample of their 2014 Shirvington Cabernet Sauvignon ($58.99), which is produced from 100% Cabernet Sauvignon, which was barrel fermented and then aged for 19 months in 100% French oak (33% new, 11% 1 year old, & 56% 2 year old). I was especially pleased to note that this wine only had a 13% ABV, indicative to me that this wine was unlikely a jammy fruit bomb. I also chose to pair this wine with Filet Mignon, figuring that it would work well with a nice piece of steak. With a dark red, almost plummy color, the wine had an appealing nose of red fruits with subtle spice notes. On the palate, there was an initial taste of bright red fruits, cherry and raspberry, and on the finish it transformed so there were more black fruit, plum and black cherry, flavors. Throughout the complex palate, there were subtle spice notes, restrained tannins, and a hint of sweetness. It was a more elegant wine, with a lengthy, satisfying finish, and it was a delightful companion to the Filets. This Cabernet had more in common with European wines than California ones. Simply delicious and it earns a hearty recommendation. Another win for Australian wines. And I have more reviews coming in the near future. The fate of refugees and immigrants are significant issues right now, with plenty of heated rhetoric and arguments. Fear is at the heart of much of the discussion and though the general threat of terrorism is real, the actual risks from these refugees and immigrants is much much less than the doomsayers proclaim. The basic humanity of these refugees and immigrants needs to factor far greater into these discussions, and compassion needs to be a prominent value. America owes a huge debt to the refugees and immigrants which have come to our country over the centuries. They bring a diversity to our country which only benefits us all. Our country would not be as great as it is without the diversity that such people bring. And the important benefits they bring outweigh the small risk that is entailed. We cannot become insular, shutting our borders to these people. Yes, there may be some bad apples in the bunch but there are bad apples everywhere, including people who have lived in this country their entire lives. We have to understand that these bad apples are a tiny exception and far from the rule. Those bad apples do not reflect the general mentality and behavior of the greatest majority of refugees and immigrants. We already have vetting procedures to help minimize those risks. Let's consider but one area where America owes a huge debt to refugees and immigrants: our culinary scene. There are plenty of other significant areas that can be discussed but I just want to concentrate on this one area for now. First, most restaurant kitchens, all across the country, couldn't operate without the refugees and immigrants who perform some of the most basic, and still very important, duties, from dish washing to prep work. They commonly work behind the scenes, unseen by the restaurant diners who might only may know the main chef. As they work unseen, too many people fail to understand their vital role and their importance to what ends up on your plate. I've talked to a number of chefs who have been immensely grateful for these workers. Few others have been willing to do such jobs, from dish washing to basic prep work. Without these refugees and immigrants, it would be difficult to find others willing to do these duties. In addition, the chefs uniformly state that they are some of the hardest working people they know. For a significant number of these refugees and immigrants, they work multiple jobs, maybe in a couple different kitchens. These people contribute significantly to the community. Second, these refugees and immigrants bring to the U.S. their home cuisines, including different ingredients, recipes and techniques. They have created a greater diversity in our culinary scene, opening diners up to so many new and different foods. Consider Boston and its neighboring communities and try to count the numerous cuisines from different countries which are represented, which wouldn't exist except for the influx of refugees and immigrants to our country. Ethiopia, Lebanon, Mexico, El Salvador, Senegal, Afghanistan, Vietnam and so much more. In addition, other chefs have adopted the ingredients, recipes and techniques of these refugees and immigrants. Their culinary heritage has spread across the country, becoming firmly ingrained in our society. Without their contributions, our culinary world would be boring and plain. We revel in culinary diversity but need to understand and appreciate the myriad contributions of those refugees and immigrants. Third, the presence of refugees and immigrants in restaurant kitchens, plus the spread of their cuisines, helps to make our communities more diverse, and more tolerant of differences. When people are exposed to more diversity, they become more worldly, and can better understand that despite out differences, we share many similarities too. We don't need a 50th burger joint in the area, but we certainly could use more restaurants from places like Guatemala, Armenia, Uruguay, Georgia, Nepal, and more. Rather than worrying so much about the greatly exaggerated risks of refugees and immigrants, let us devote much more consideration to all the positive contributions they can make to our country. Let us embrace our humanity and compassion, and stand up for these refugees and immigrants.